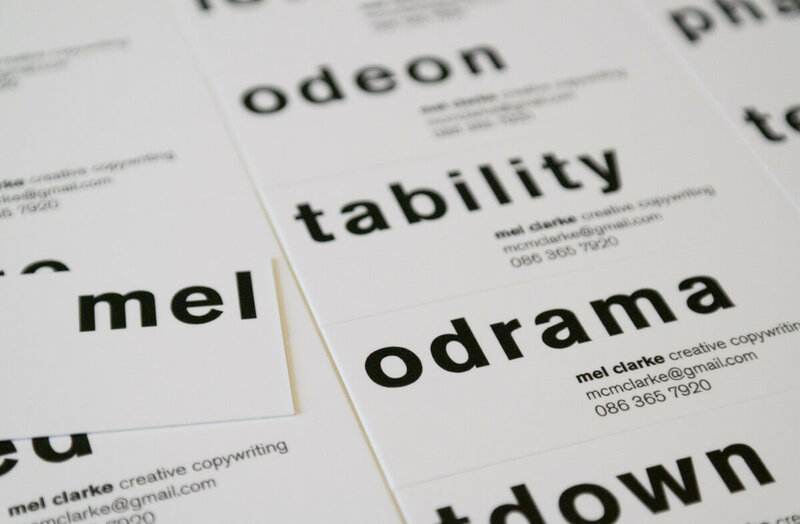 Business cards for Mel Clarke, Creative Copywriter. 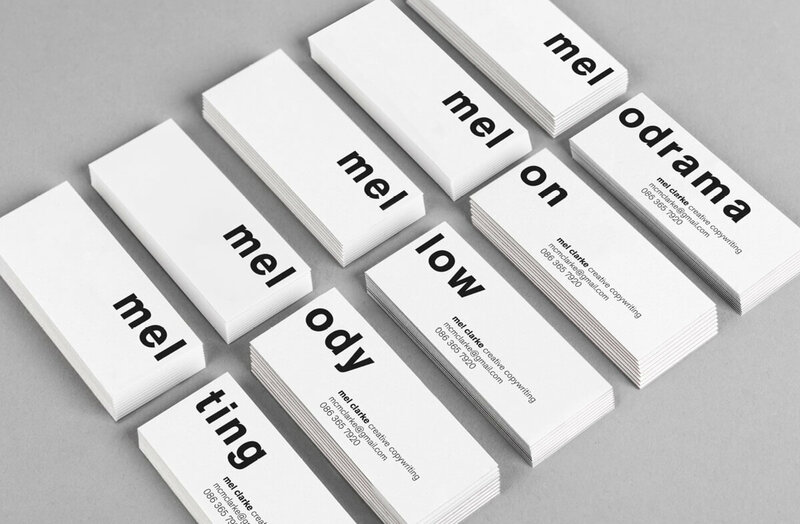 The card fronts are common, simply showing the copywriters first name ‘mel’. 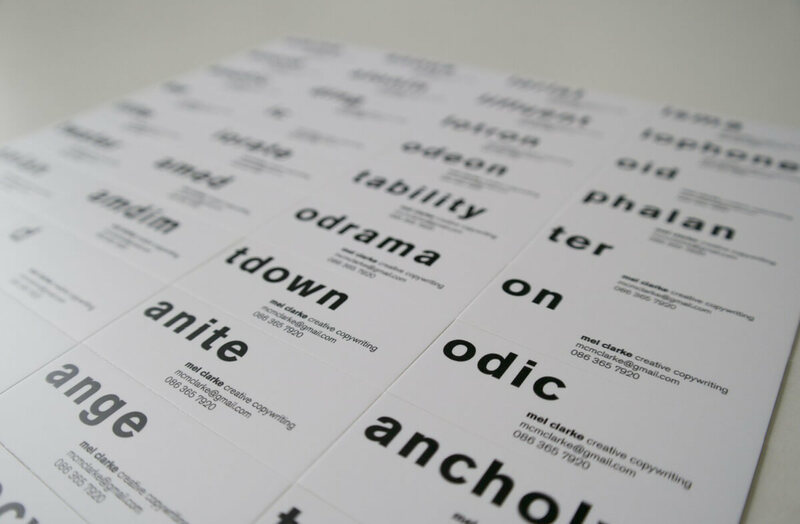 There are 40 different backs, each showing a different word beginning with ‘mel’ – for example ‘melodrama’, ‘mellow’, ‘melody’ etc.